Since late 2014, Apple has captured the attention of all the phablet lovers out there with an extremely appealing offering - its large iPhone Plus lineup. So far, both the iPhone 6 and 6s Plus proved to be quite successful in a market where Apple hadn't ventured before, suggesting that large-screen iPhones are here to stay and reap triumph. It's certain that Apple isn't doing away with its successful phablets and will treat us to a Plus this year as well. Actually, it might give us two versions of the device - a regular iPhone 7 Plus, which is expected to be pretty similar to the 6 Plus and the 6s Plus, and an iPhone 7 Plus Pro, which could end up being the photographer's delight. Let's see what Apple might be brewing for us. Our rumor review of the regular, 4.7-inch iPhone 7 can be found right here. Design: So far, we suppose that there will be two versions of the 5.5-inch iPhone 7 - the iPhone 7 Plus and the iPhone 7 Pro, which will boast a dual camera. Otherwise, design is expected to remain mostly unchanged, with few updates of the exterior. Hardware: A 16nm Apple A10 chipset will be found on both; the iPhone 7 Plus is tipped to have 2GB RAM, the iPhone 7 Pro - 3. We expect 32GB, 128GB, and 256GB versions. Display: Display size and resolution are expected to stay the same, 3D Touch is tipped to score multi-touch support. Camera: No changes for the iPhone 7 Plus. 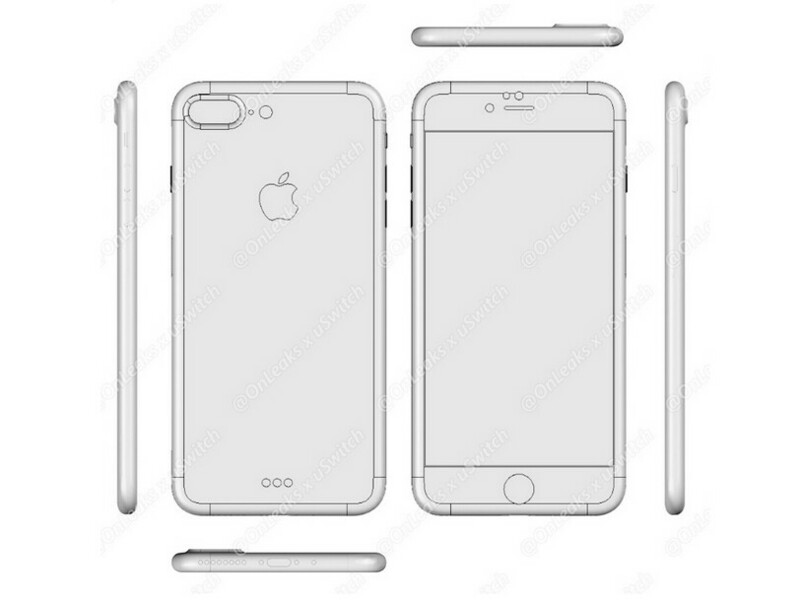 The iPhone 7 Pro is expected to have a dual camera at the back. Release date and pricing: Traditionally, we expect the iPhone 7 Plus and Pro to debut in early-to-mid September 2016, with a market release shortly after. First of all, let us make it clear that the rumors about the two versions of the iPhone 7 Plus are conflicting at this point. We keep hearing that there will be two versions of the phablet—a regular iPhone 7 Plus and a dual-camera iPhone 7 Pro—but nothing is written in stone yet. We could be dealing with one device only and the numerous rumors could be nothing but pure speculations. After all, it's a top-end iPhone we are dealing with here. But this is a rumor review, so we'll do just that - review the rumors! Here goes. Historically, Apple has been treating the iPhone to a major redesign every two years, but the rumor mill and almost every industry insider are claiming that we won't witness such a revamp in 2016, with Apple tipped to be moving to a three-year update period. Thus, we have the iPhone 6s vastly similar to the iPhone 6, the iPhone 5s mostly alike with the iPhone 5, the iPhone 4s indistinguishable from the iPhone 4, and so on. Thus, the new iPhone 7 Plus and Pro are expected to be mostly similar to last year's iPhone 6s Plus, with just minor improvements. The most intriguing one is the suggested "tweaking" of the antenna bands at the rear, which will likely blend a bit better with the body of the device for a more stealthy look. Apple won't ditch them for obvious signal reception-related reasons, but at least it's nice seeing them get blended a bit better with the body of the phone. Speaking of the body, it will most likely be made of series 7000 aluminum alloy, one of the strongest ones around. This will further strengthen the body and mitigate any chances for a new #bendgate. Here are some other design rumors that have been making the rounds recently. Well, before we continue, here are a couple of renders that will help you imagine the iPhone 7 Pro, as envisioned by 3D artist Martin Hajek. Last year, Apple introduced the large iPad Pro and it arrived with a Smart Connector, which allows you to connect the Smart Keyboard to the tablet. It's largely speculated that the large iPhone 7 Plus/Pro might also feature this connectivity port, but as to what accessories might be available for it, we can only speculate. Probably a case or something completely else? Another rumor claims there won't be anything of the kind on board. What's more, it is also suggested that Cupertino might finally jump on the waterproofness train and make the iPhone 7 Plus and 7 Pro watertight. This was somewhat suggested by the abundance of silicone seals and gaskets that make the current iPhone crop able to withstand a lengthy dunk in the water to some extent. Apart from physical evidence found in the 6s and 6s Plus, we also have a patent that allegedly reveals that Apple is entertaining the idea of making its devices resistant to the water element. The iPhone 7 Plus and 7 Pro, similar to the iPhone 7, are rumored to come without the universal audio connector and use a proprietary Lightning one in order to slim down some bulk. This will theoretically allow Apple to slim down the devices a bit, as well as make them waterproof, but the trade-off is obvious - doing away with a standard port will be detrimental to the user experience, except if Apple does not come with a workaround. And it will - we are now convinced that headphones with a lightning port will be used for the next iPhone crop. There's even an alleged image giving us all a glimpse as to what these might look like. Finally, you will be able to listen to your favorite tunes while you—yes, you got that right—are not charging your phone. There's some hearsay that Cupertinians will be putting the kibosh on the Space Gray color option for the iPhone 7 line and replace it with a dark blue one. We have no leaked images to corroborate these claims, but we do have some slick renders (once again made by Martin Hajek) that show us the upcoming iPhones in some rather captivating blue shades — check them out. The Gold, Rose Gold, and Silver color variants are going nowhere, though. Word on the street is that the iPhone 7 will arrive in at least one new color option. First, information surfaced that Apple could be exploring the option of releasing a dark blue iPhone, which could be a real beaut', and recently we've heard rumors of both a Dark Black a la iPhone 5 color, as well as a Piano Black version that has drawn comparisons Apple's Mac Pro. Now, a concept designer has put faces to names with a series of high quality renders. The Piano Black edition is of particular intrigue, since it will see Apple make something of a return to the days when the iPhone sported a glossy exterior. Thankfully, the plasticky polycarbonate that adorned the likes of the iPhone 3GS looks set to remain of that era, since the glossy new iPhone is almost certain to be metallic. We also heard that the Piano Black color option could remain an exclusive to iPhones with 128 and 256GB storage options. It's a no-brainer that Apple is going to grace its 2016 crop of iPhones with a speedier chipset than the A9 one used in the 6s family. Logic suggests that it will likely be called the Apple A10, and while we have little info about it, we suppose that it could be a 16/14nm silicon manufactured by both TSMC and Samsung. Seems that Apple will exclusively choose TSMC as the sole supplier for the A10 SoC. TSMC is rumored that it will be a 16nm FinFET one, similar to TSMC's A9 produce. Judging by Apple A9's performance, which is one of the very best SoCs on the scene right now, we have extremely high hopes for the A10, which will most certainly end in the top-tier end of the performance spectrum. KGI's Ming Chi Quo claims the chipset will be able to reach clock rates of up to 2.4GHz - a massive increase over the iPhone 6s' 1.8GHz chip and the 2.26GHz one in the latest iPad Pro tablets. Needless to say, this will likely offer a massive increase in terms of performance. 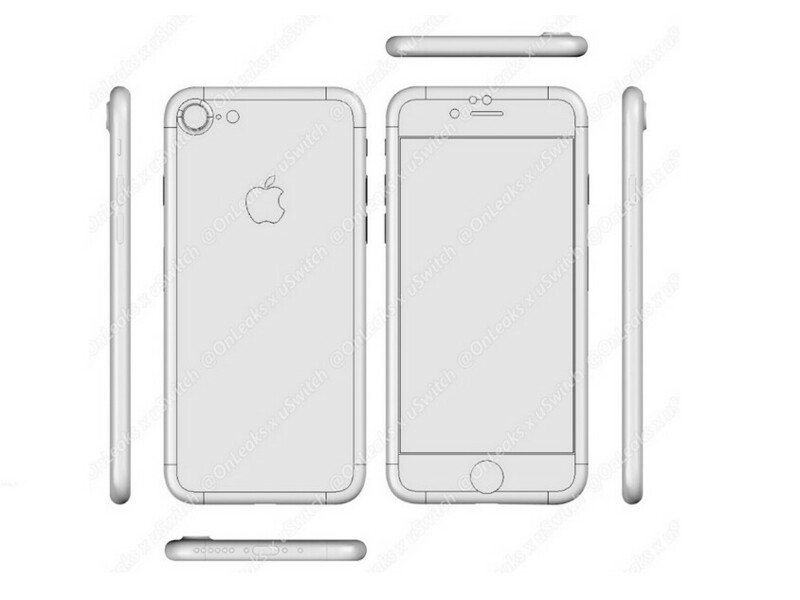 In order to further slim some bulk, Apple might also be using a "fan-out" chip packaging with the iPhone 7. This packaging technology fuses the silicon chips and the semiconductor compounds together, resulting in more powerful yet more compact chips. Yay, more room for activities... and battery! Also, the "fan-out" tech allows Apple to mix the A10 chip with a GaAs (Gallium Arsenide) semiconductor compound, which will further improve the high-frequency signal reception of the handset and successfully combat interference. In the memory department, Cupertinians amped up the game of the 6s and the 6s Plus by throwing in some much needed operational memory inside - in 2015, we finally got iPhones with 2GB of RAM. Rumor has it that the iPhone 7 Pro might come with 3GB of RAM on board in order to step up its photography game, but the regular iPhone 7 Plus is expected to feature 2GB of RAM. At least, this is what Ming-Chi Kuo, an industry insider with a rather good track record, has been claiming for a long time. Reportedly, it will be a beastly chipset as some alleged leaked Geekbench benchmarks are indicating. The dual-core A10 of iPhone9,3 — which seems likely to be the iPhone 7 Plus though could be the smaller model — achieves a single-core score of 3379. If true, this marks a gigantic leap over the 2526 single-core score we got with the iPhone 6s Plus and shows the A10 to excel in this category versus its peers. By comparison, the Exynos 8890 of our Galaxy Note 7 on Geekbench managed a single-core score of 2067.66. Per Geekbench, the Snapdragon 820 version of the Samsung phablet has yet to exceed a single-core score of 1896. So far, the base and most affordable iPhone models have arrived with 16GB of native storage, and let's face it - this is pretty low. Rumor has it that the iPhone 7 lineup might double that amount of native storage - the iPhone 7, 7 Plus, and 7 Pro are all tipped to arrive with 32GB of native storage. This will be a welcome improvement, as the 4K video recording and large photo files are certainly taking their toll on the storage. What's more, the top-end 7 Plus and 7 Pro are both tipped to also arrive in 128 and 256GB flavors. The latter option will be a first for the iPhone lineup. While nothing can be said about the smaller iPhone, its larger version is rumored to come with a larger, 3,100mAh battery. As a refresher, the 6s Plus came with a 2,750mAh battery, while the 6 Plus donned a larger, 2,915mAh one. But wait, wasn't Apple rumored to be making its next phones the thinnest ones ever? Well, here's a speculation: only the iPhone 7 could get slimmer while the iPhone 7 Plus and Pro are rumored to retain the width of its predecessor, which would certainly warrant a slightly larger battery inside. Of course, we are merely speculating here, and there's a high chance we wouldn't be able to find out if this is true until someone disassembles the iPhone 7 Plus & 7 Pro after they get launched this fall. 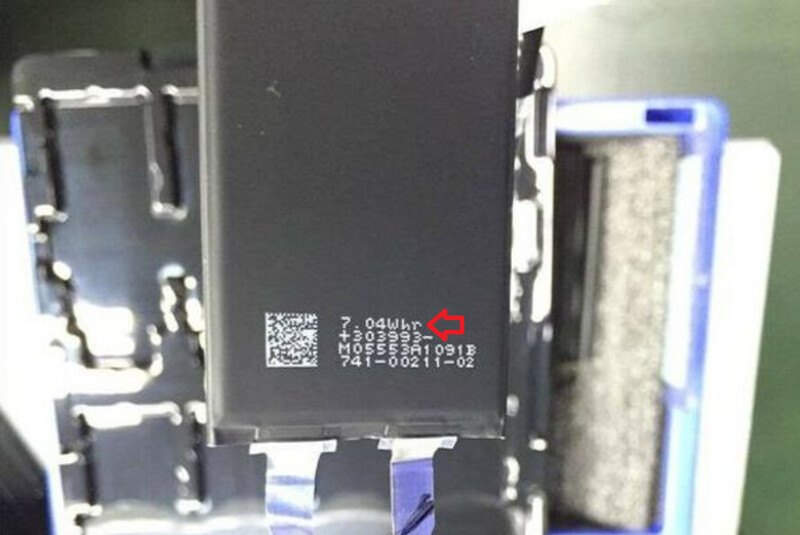 Then there's that leak that allegedly shows us an iPhone 7 battery, which is rated an 7.04 Whr. As a comparison, the iPhone 6s' battery is rated at 6.61 Whr, or 6.5% lower than the rumored unit of the iPhone 7. Sadly, without info on the battery's voltage, it's impossible to determine its capacity in milliampere-hours (mAh). This isn't revealing much about the iPhone 7 Plus and Pro battery capacity, but we still think it's important to at least acknowledge the leak. While we are slowly getting hyped up that Apple will eventually settle on OLED displays for future iPhones, this is unlikely to happen this year. Probably in 2017, when Apple's tipped to be overhauling its iPhones. Indeed, an OLED display will perfectly fit into this anticipated overhaul. But let's get back to the iPhone 7 Plus and 7 Pro. As far as display sizes and resolutions are concerned, we don't expect a change in the numbers' game — display size is likely to remain 5.5 inches across, though we have information about the resolution. There are two options though — Apple will either increase the resolution... or not. At this point, we believe the iPhone 7 Plus and 7 Pro will arrive with 5.5-inch, 1080p screens, commanding a pixel density of 401ppi, the sharpest in Cupertino's arsenal. Rumor has it that Apple could be spicing things a bit, though - a leaked image showing a 2K display, reportedly intended for the iPhone 7 Plus, led many to believe that the iOS phablet could be getting a higher-res display. However, we are a bit skeptical about this one. There's an interesting rumor flying around, though. It seems that Apple was poised to develop its own set of display drivers for the iPhone 7 and 7 Plus order to boost image sharpness and battery life, but fell behind schedule and had to place orders for Synaptics' display controllers. In case you don't know, Synaptics is Apple's supplier of touch and display drivers. 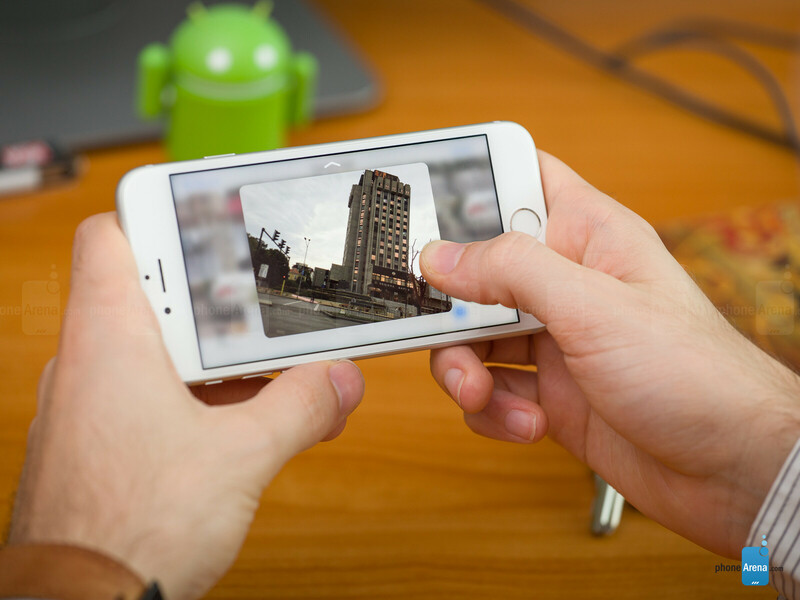 3D Touch is here to stay, and will most likely score new functionalities along the way. As we mentioned earlier, Apple is reportedly contemplating the idea of bringing a multi-3D Touch functionality on board the iPhone 7 and 7 Plus. This feature will allow users to apply pressure on several points on the display. Hopefully, this would be used for a wider range of UI interactions, and not just for your regular shoot-'em-up game. We know nothing else about 3D Touch on the next crop of iPhones, but we suppose that we won't hear anything until the device is official, as we expect the majority of changes to be in the interface and the software functionality of the pressure-sensing feature. One of the possible new camera-specific features of the iPhone 7 and iPhone 7 Plus is a bit far-fetched, but not entirely implausible. 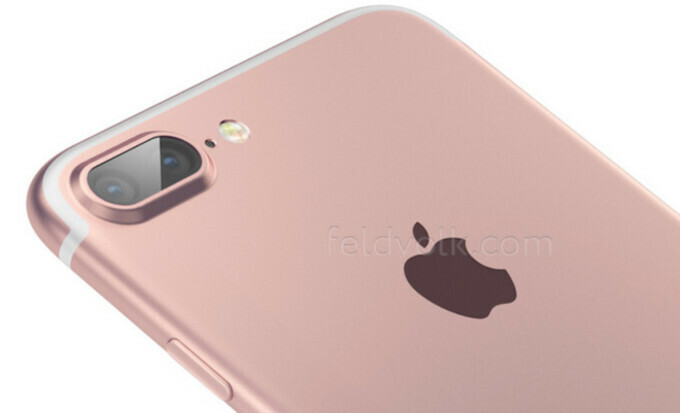 Yes, we heard that Apple might employ a dual camera setup on its upcoming iPhone 7 Plus/Pro. This multi-lens system will reportedly deliver DSLR quality and lossless optical zoom for the iPhone 7 Pro. It is allegedly developed by LinX, an imaging company that became part of the Apple family last year. The camera modules used might be supplied by Sony and LG Innotek, though Ming-Chi Kuo bets that two Sony sensors will be used, both 12MP ones. One of these will reportedly have a larger aperture than the other and will allow 2x-3x optical zoom. 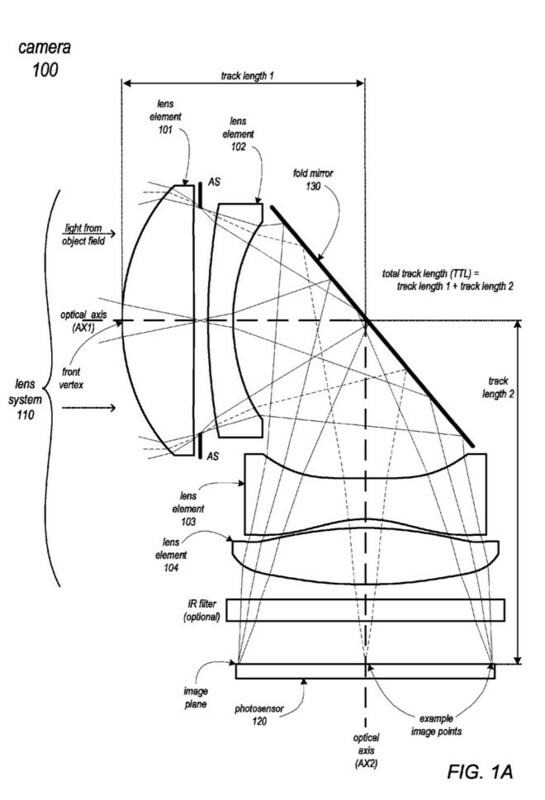 A patent for a "folded telephoto camera lens system" filed last year revealed an L-shaped camera consisting of a polyhedron glass piece that seemingly works the same way. We will wait and we will see. The iPhone 7 Plus, on the other hand, is not getting such a camera and will most likely remain unchanged from what we have on the iPhone 6s Plus. This means a 12MP camera with 1.22µ pixels, dual true-tone LED flash, a 5-element lens with an aperture of f/2.2, autofocus with Focus Pixels, a hybrid IR filter, BSI, and a sapphire crystal lens cover. We suppose that most of these raw camera specs could be shared with the iPhone 7 Pro, though the package will be double. This makes us think that Apple most likely won't bother to increase its megapixel count in 2016. However, we are certain that Cupertino will throw some nice improvements or even new functionalities in its next iPhones in order to step up their photography game. We can only imagine what these might be, and needless to say, impatient to check them out. Finally, rumors claim that the iPhone 7 and 7 Plus will be capable of recording 4K video at 60fps, which will make them the first devices to be capable of this. Needless to say, 4K video is quite storage-hungry, which gives a lot of credibility to the rumor that the devices will arrive with 32GB of base storage, but will also feature 128 and 256GB variants. For the past couple of years, Apple has announced its iPhones sometime in September and released them shortly after. We doubt that this will change this year, and since we've heard zero credible info if Cupertino's planning to host another keynote earlier than September, we are going to presume that the tradition will be kept. Here's a handy table that will help you visualize Apple's announcements and releases so far. This track record is not getting nixed - Apple will hold an event on September 7, 2016, and it will be centered around the iPhone 7 and 7 Plus. As far as market release goes, Evan Blass is confident the phones will launch on September 16. That aside, it's too early to chime in on the possible retail prices of Apple's 2016 produce of phones. We suppose that Cupertino will not change the established pricing by much, which means that the iPhone 7 might cost the same as an iPhone 6s or 6 at launch. 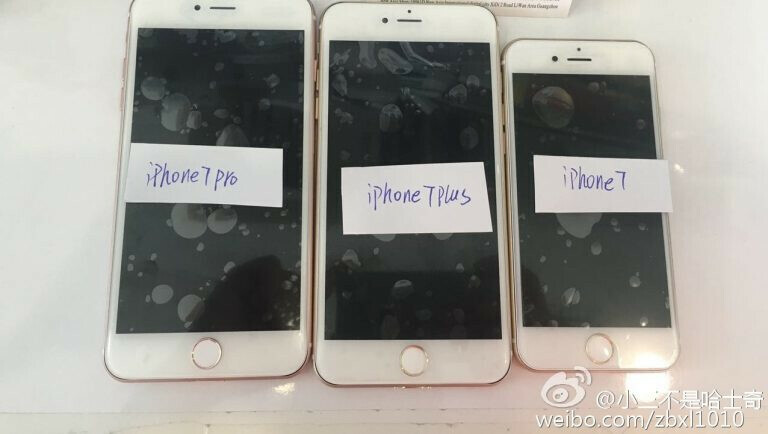 Respectively, the 7 Plus will likely cost as much as the 6s Plus and the 6 Plus at launch. However, it's worth noting that if the 16GB version gets nixed, the starting price of the base 32GB model might be a bit pricier. This means that the 32GB 7 Plus might start at $749, the 128GB one at $949, and the 256GB would likely have a $1,049 price tag. Oh, come on Phonearena. Do you really have to review the rumored specs/design/features? Leave the review for actual thing not for this rumored thing. This kind of article is not helpful to the reputation of the website. Don't they do the exact same thing for Samsung, and to a lesser extent LG and HTC? Don't like it??? Why bother to even read than?? You obviously took the time to read?? So that means your a closet case Apple fan?? Who cares live and let be!! Ditch the negativity already PA has the right to put what they please!!! Really disappoint if this gonna be another "same" update.. 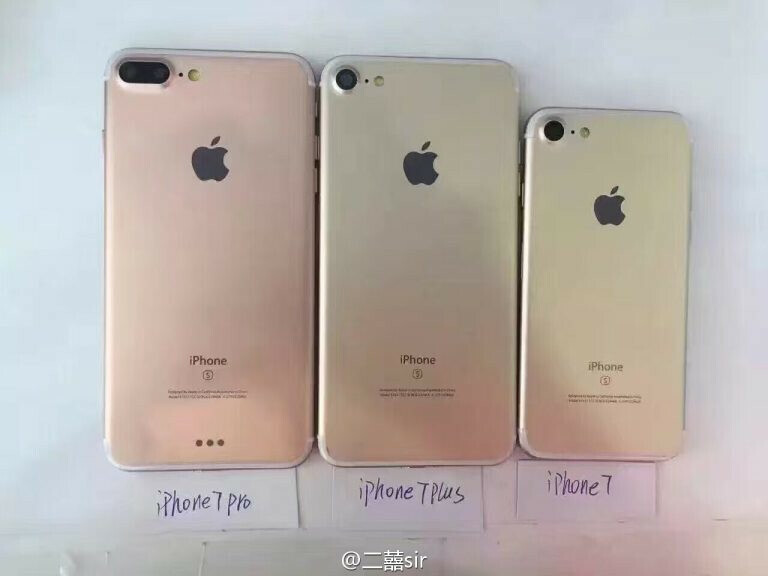 I doubt there will be two variants of the iPhone 7+. Think the 7+ will have dual cameras while the regular iPhone 7 will have a single camera. Both most likely will have OIS. Only the price is pro! You will talk about photography just when Apple use Carl Zeiss Or Schneider Kreuznach Or Leica camera lenses on their iPhones, except that, just forget it ... The iPhone 6s/6s+ had just 82 in DxOMark’s scale, the Galaxy S6 has 86 and the Galaxy S6 edge+ has 87 the Note 5 has 87 too and the S7 Edge has the best number of 88 !! The  BlackBerry priv (SD808) has 82 !! The lenses of Schneider Kreuznach Really works, cause if BlackBerry put the SD820 with Schneider Kreuznach, the camera will take 88+ on DxO scale. Well, considering it's all just rumors it's no surprise that it's such a mess. From the things Apple has already made, AR coating(+brighter display ?) is a must for me. True tone is also nice, and I also expect a bigger battery with some great endurance numbers considering that A10 is going to be disgustingly efficient. Much faster charging is possible too considering what Apple already did. Also quite interested what they will do with the next generation of Retina HD, AR, true tone and brightness yes, but maybe thinner 3D touch layer, wider gamut, higher efficiency or higher touch refresh rate would be great too. There will be deffinitelly some all new features too like a new design that's much thinner. Get ready for copycats !!! Honest question... Who would want to copy Apples latest versions of the iPhone? I'm a tech lover. Total nerd. I could care less who is the manufacturer. And these renders are just some really unattractive hardware. Same with the 6 series, though for some reason the removal of those two antenna bands makes it look worse. I've got to give the nod to several Android manufacturers, who have designed far superior hardware, than what we've seen come out of Cupertino in the last couple of years. And those bezels. I mean come on. Even if all you love is Apple....how can you look at that and say... "that looks amazing!". How? The dark blue 7 pro duel camera 256 gb is the one!! !